Standard single room offers a single bed. 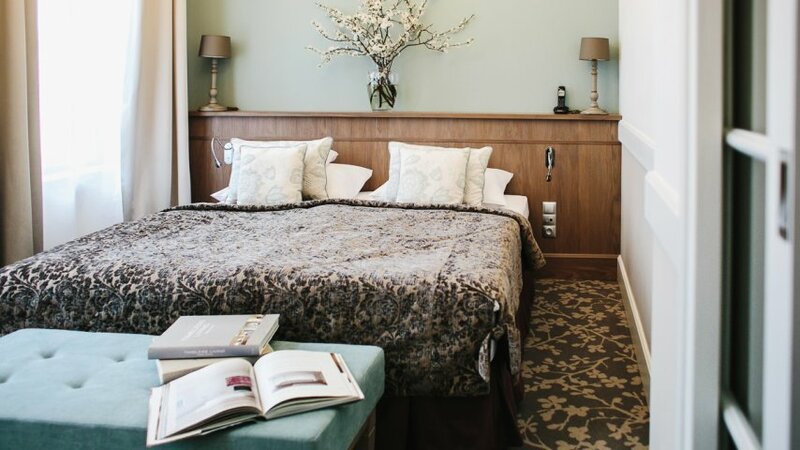 Intriguingly arranged and perfectly harmonizing with the antique layout of the Old Town tenements, our sublime single rooms differ in shape and size. Equipped with elegant furniture and comfortable beds, they create a perfect environment for work as well as leisure time. Artistic decor of the interiors - furniture and details, not to say friezes and the ornamental painting of walls have been designed especially for the Art Hotel. 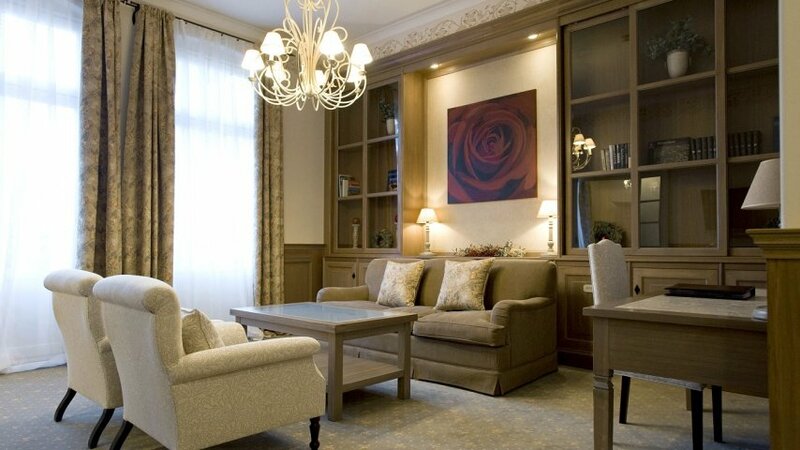 All the room walls have been decorated with authentic paintings, watercolours and graphics by well-known Wrocław artists. Standard double room offers a double or a twin bed. 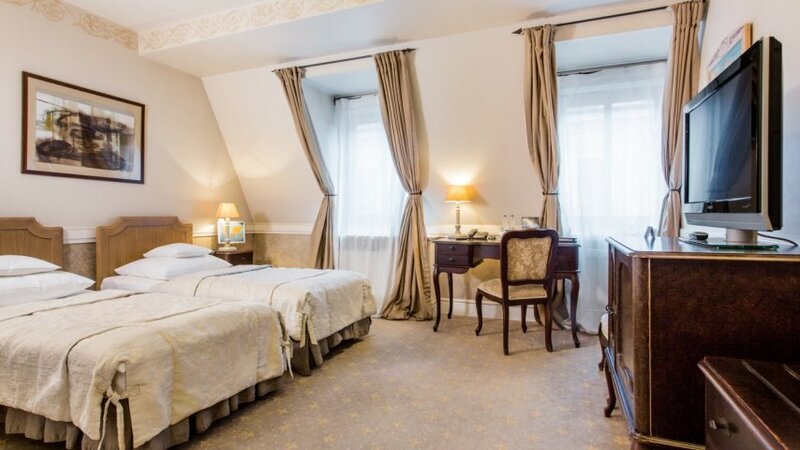 This room gives a touching view on the charming Kielbasnicza Street. 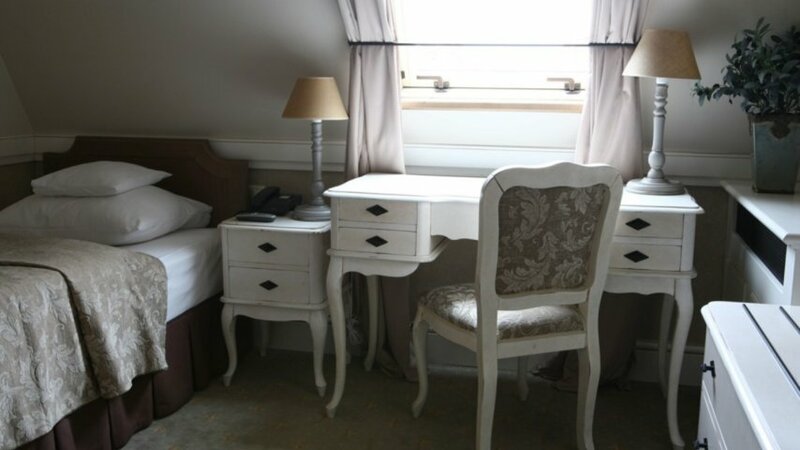 Our standard rooms have been equipped with elegant furniture and comfortable beds. It’s a perfect oasis for work or relax. You can also order an additional bed. 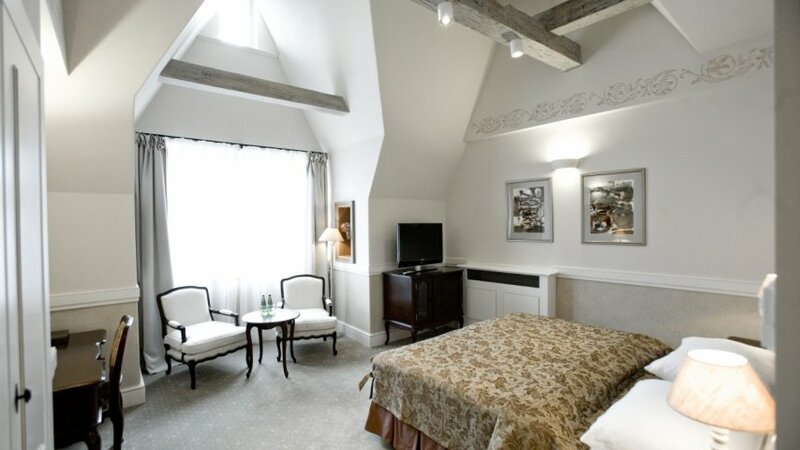 Superior room for 1 or 2 persons offers a double or a twin bed, mostly with a touching view on the charming Kielbasnicza Street. Our superior rooms have been equipped with elegant furniture and comfortable beds. It’s a perfect oasis for work or relax. You can also order an additional bed. Our Junior Suites include six originally designed mini-apartments. Each room has been arranged in a completely different way. Junior Suites are the perfect choice for those people who cherish comfort and style and who enjoy unforgettable interiors. If you wish, you can also order an additional bed.. Original and spacious rooms are a perfect choice for people valuing high comfort and incredible interior décor. Our apartments put you in a formidable mood. Simply enjoy your view on the St. Elizabeth's Basilica. You will find here a very elegant and stylish bedroom, marble finished bathroom and a spacious living-room with library. We used for the detailing only the most precious and natural fabrics. Specially ordered furniture, unique, hand painted details make the interiors of this apartment a place of grace, harmony and refined beauty. You can also order an additional bed.